West Bengal Chief Minister Mamata Banerjee said she was aware of the incidents but did not comment. West Bengal BJP chief Dilip Ghosh said he regretted the attack on the policemen. 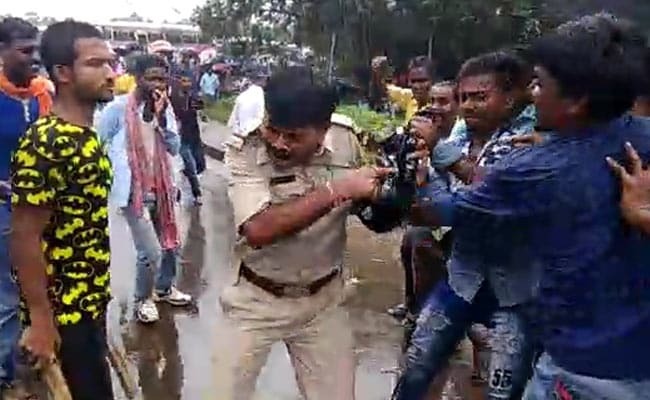 At least a dozen policemen in uniform were thrashed by BJP supporters in West Bengal's Midnapore on Monday when they could not reach the venue of Prime Minister Narendra Modi's public rally, about 120 km from Kolkata. Angry that the police stopped their buses at some distance from the venue and told them to walk to all the way to it, the BJP supporters attacked policemen with rods, slippers and one officer was grabbed by his hair, thrown to the ground and beaten with bare hands. Several "civic volunteers" also in their uniforms were also attacked, chased and hit with sticks. At least seven policemen were reported admitted to hospital at Kharagpur. Chief Minister Mamata Banerjee said she was aware of the incidents but did not comment. State BJP chief Dilip Ghosh said he regretted the attack on the policemen but added, "What I have heard is police was unable to keep the traffic moving and when the party supporters protested. They did not behave well. But this should not have happened." Just about a month ago, however, Mr Ghosh had told a protest demonstration near the Jalpaiguri police station that "policemen would be taught a lesson" once the BJP came to power in the state. He had issued a warning not just to the police but even a particular Trinamool Congress leader by his nickname, 'Keshto'. He was referring to Anubrata Mondal, Trinamool chief of Birbhum district. Mr Mondal also earned infamy for saying before an election that "If you see police helping opposition people, throw bombs at them." Additional Director General of West Bengal Police (Law and Order) Anuj Sharma confirmed the incidents and said a specific case was being filed in the matter and legal action would be taken in the case of attack on policemen. The district's Superintendent of police Alok Rajouri said, "We will definitely take action."